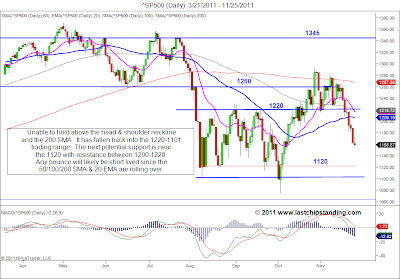 From the latest daily chart for the SP500, the price actions show no sign of a Santa Claus rally is to occur soon. 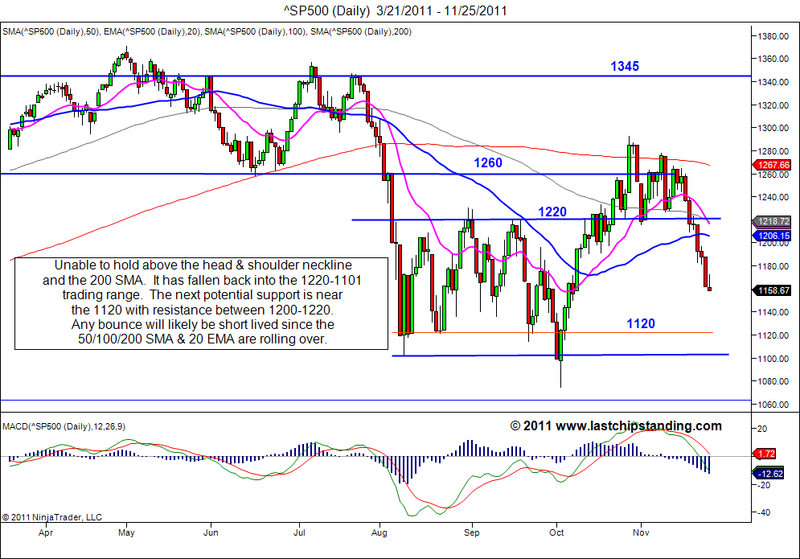 After couple failed attempts to move above the H&S neckline, the SP500 has dropped back into the 1101-1200 trading range. With declining 50/100/200 SMA and a declining 20 EMA, any rally will likely to be short lived and will likely encounter resistance at one of the moving average or the upper bound of the trading range near 1220. 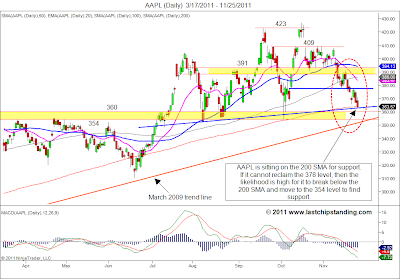 Two weeks ago AAPL broke below 391 and it was trying to hold the 100 SMA for support. 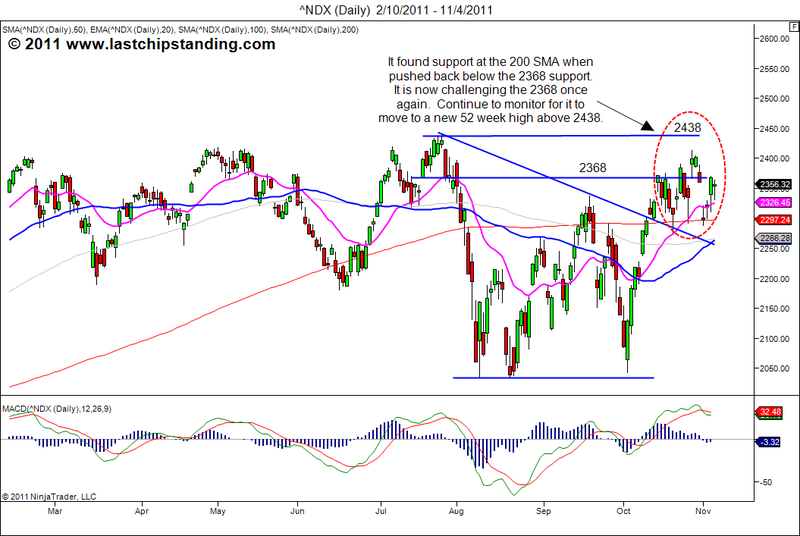 After a brief chop near the 100 SMA, it has broken down and dropped to the 200 SMA near the 363 level. 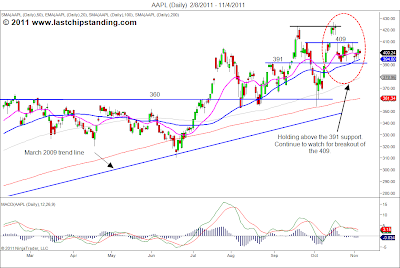 AAPL is currently at a crossroad, it is sitting on a supporting trendline that is confluence with the current 200 SMA level (blue line), and this could potentially provide a short term bounce or a level for reversal. 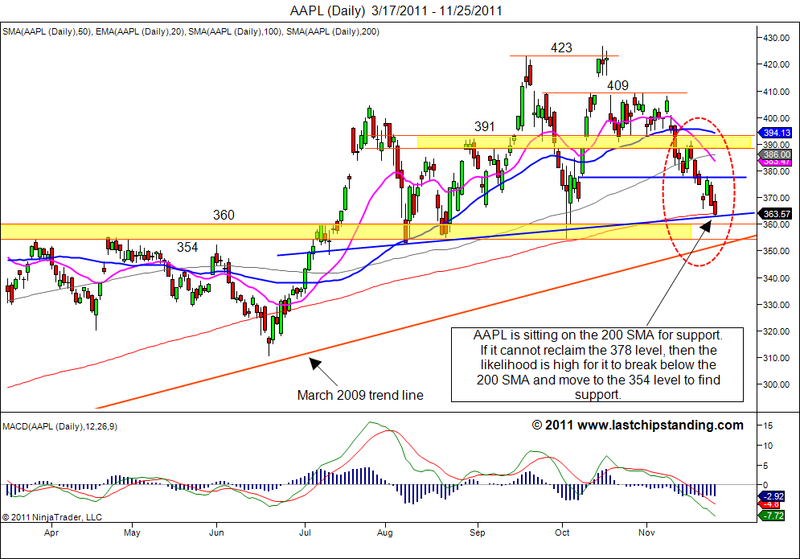 In order for the trend to reverse, AAPL needs to move back above the level near 378 (horizontal blue line). But looking at the 354-360 S/R (support/resistance) zone and the long support trendline from the March 2009 low, it is most likely the algor computers and the technical traders are waiting for AAPL to break below the 200 SMA and hit the long term support trendline near 354. 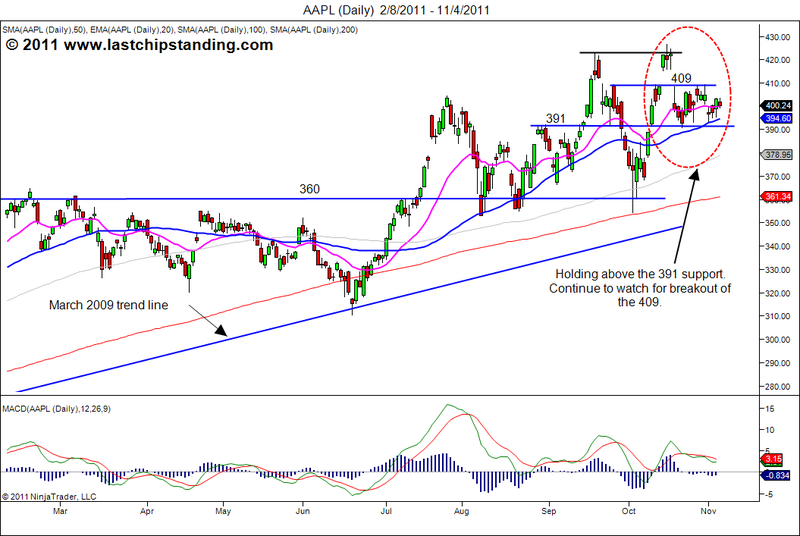 If AAPL doesn’t set off a reversal near 354, then 325 is the next potential level for support. Until then, staying on the sideline and watching AAPL price action is probably the most prudent thing to do. The table seems to have been turned for AAPL. The week that just passed, AAPL has been the laggard stock. 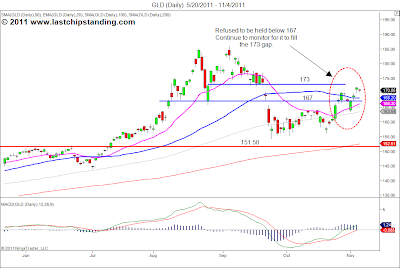 While the market continues to hold its ground and consolidate in preparation for a move to higher level, AAPL has headed down. 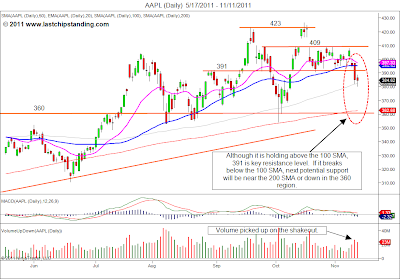 The chart of AAPL below show how the volume has increased when it broke below the 391 level. 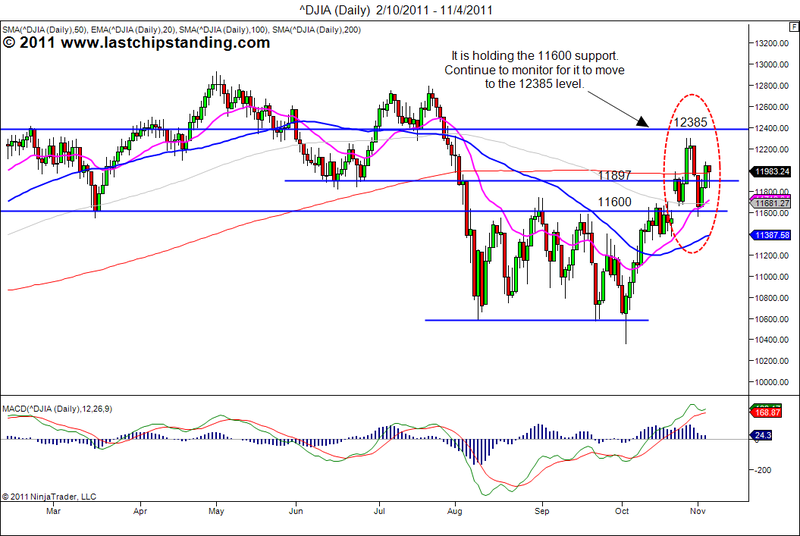 Although it has bounced off the 100 SMA, the key level to watch is the broken support level of 391. If it is unable to move back above 391 and breaks below the 100 SMA, then the next potential support for AAPL could be near the 200 SMA (around the 360 region). 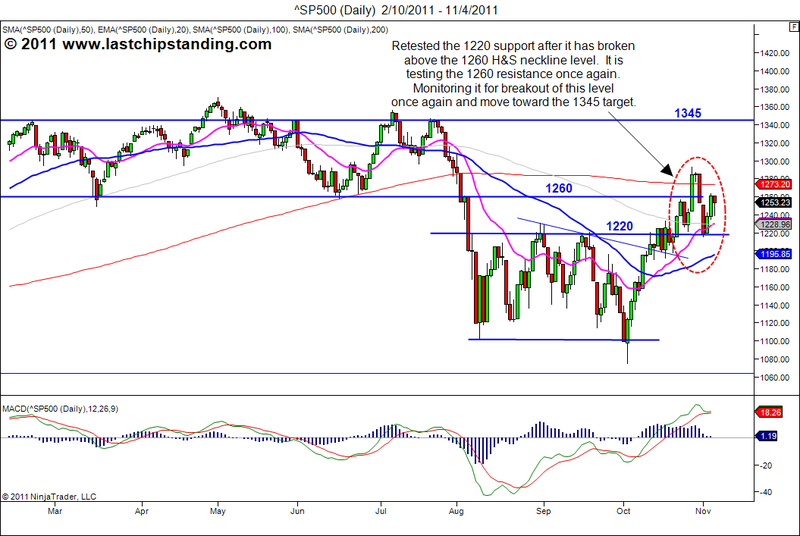 I will be monitoring the price actions for possible swing long to 409 when it reclaims the 391 level. Disclosure: short on AAPL PUT. 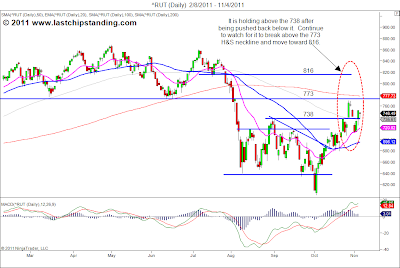 The market continues consolidating near prior resistance. 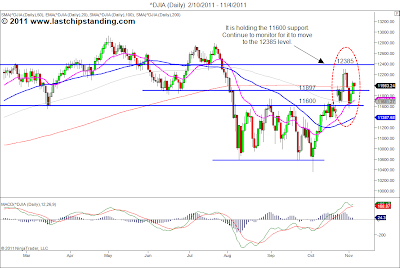 The DJIA held the 11600 support and it is consolidating above the 11897 level before making another attempt to break the 12385 level. 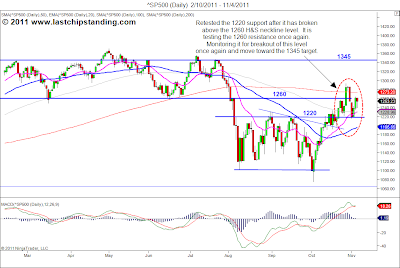 The SP500 came down and retested the 1220 for support and now it is attempting to break above the 1260 H&S neckline once again. The Nasdaq 100 has been consolidating between the 200 SMA and the 2368 resistance. It looks more of ‘when’ rather than ‘if’ it will break toward a new 52 week high above 2438. 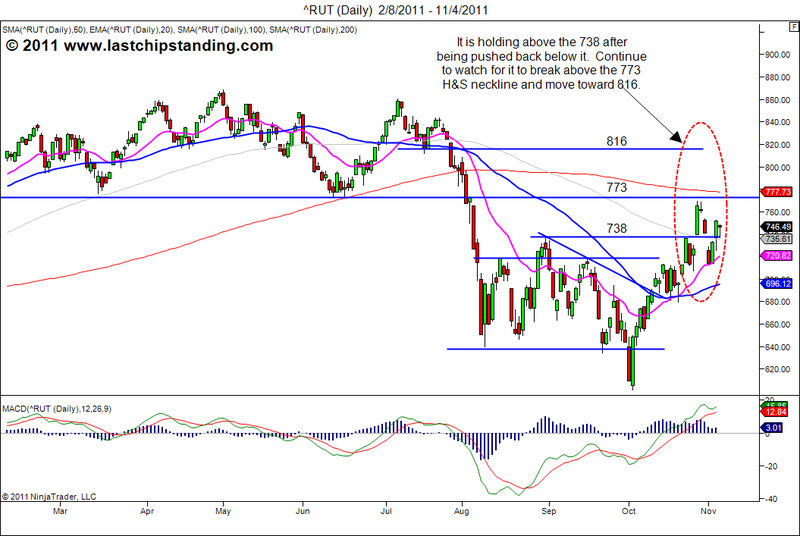 The Russell 2000 also has been holding up well, and it appears to be in position to continue it upward move. 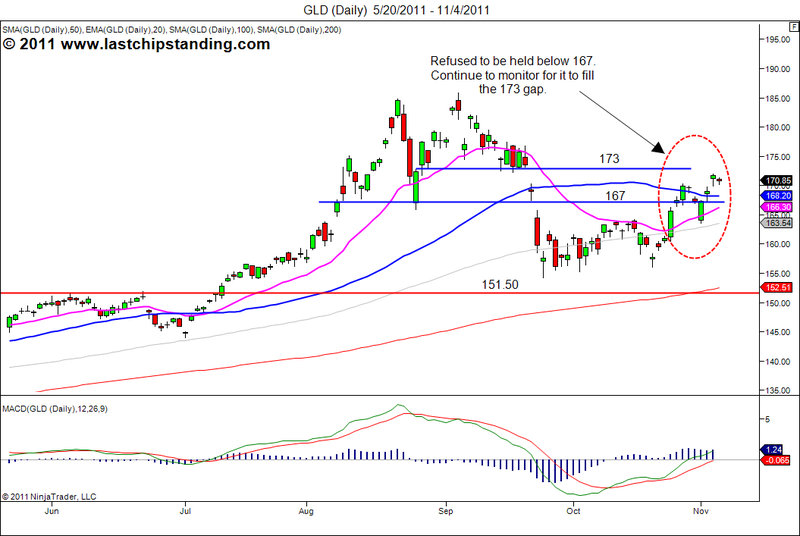 GLD, the gold ETF is continue to gap up toward filling the 173 gap. 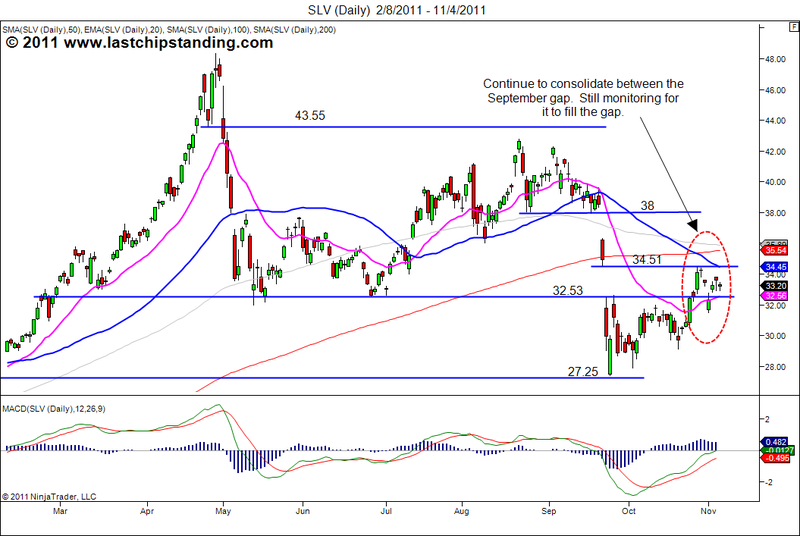 Silver ETF, SLV appears it will not give up on filling the September gap. 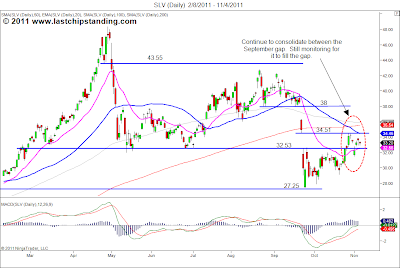 Watch for possible squeeze when it breaks above the gap and make a move toward 38. 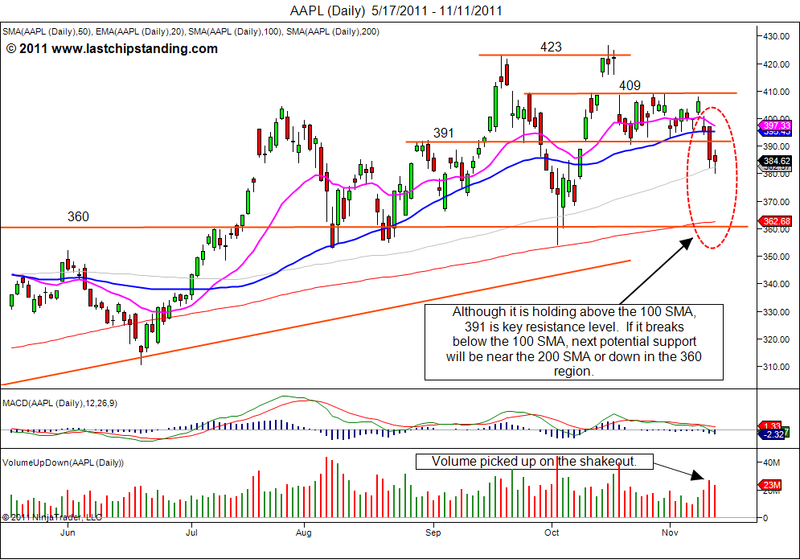 AAPL has been consolidating between 391 and 409. A shakeout near 391 could occur before it goes on breaking the 409 baseline. If that occurs, it could present a nice swing trade to 409. Continue to monitor 391 and 409 price level.